Mystery Monday - Am I Related to You? John and Isabella had 5 children together. Henry III, Richard 1st, and daughters, Joan, Isabella and Eleanor. Richard became 1st Earl of Cornwall, and it is through Richard that I am descended. 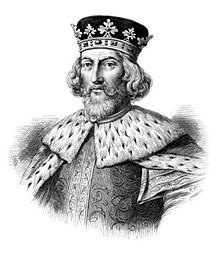 King John of England reigned from 6 April 1199 until his death on 19 October 1216. He is said to have only been 5'5" tall, stocky, and with a shockingly red head of hair. It is said that he loved reading, and never traveled without, with what to many seemed, a full library of books. (Perhaps therein lies my fascination in reading books. No matter what kind!) It is also said that he could fly into a rage over anything. He would become so infuriated that he would bite at his own hands and fingers until he brought blood. John was essentially raised by his wet-nurse, and neither of his parents spent any time with him. They were both away from him for several years at a time as they travelled about. This could explain his anger and rage, and self punishment. Perhaps John is most well known today, not for his military prowess, which was great, but for the fact that as he was escaping the enemy in 1216, he led his men in a rush through a swampy area called the Wash. As his men and horses fought to get through the sucking mud and traverse around the many areas of quicksand, it is said that he lost his precious cargo of the Crown Jewels. They are believed to have been in a rather large trunk, and lost in the muddy swamplands. (This event was recently a study on the The Travel Channel's "Expedition Unknown" starring archeologist Josh Gates. Other artifacts were, indeed, located in the swampy marsh, which confirmed that English traveler's did traverse the swamp. But the crown jewels were not located. *****Re: Those Places Thursday - Were you able to figure out where yesterday's place was? Or what the name of the statue was? 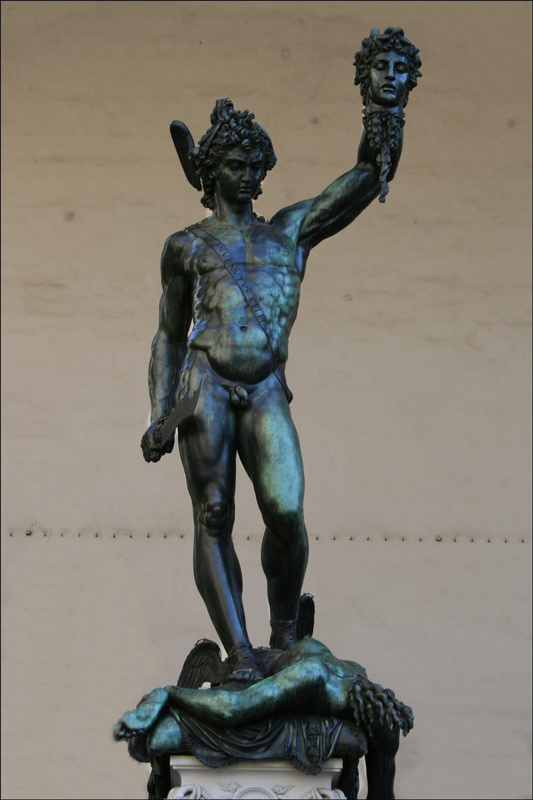 The statue was Perseus with the head of Medusa, and while this isn't the only statue by the name, as several individuals sculpted one, this one is located in Florence, Italy.